Welcome to Mulholland Painting AKA "Popcorn Pete"
"Popcorn Ceilings are our Specialty!" Mulholland Painting owner, Pete Mulholland has been painting Aston beautiful since 1975. 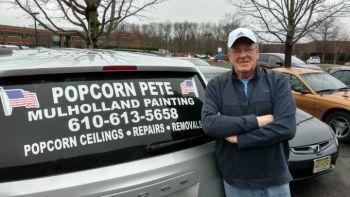 Although trained and highly skilled in all aspects of painting, Pete specializes in Popcorn Ceilings and Popcorn Ceiling Removal in Aston and surrounding towns. No one can remove, repair, or refinish an Aston popcorn ceiling better than Pete! What's more, Pete would like to show his appreciation for our community heroes by offering discounts to teachers, police officers, firefighters, veterans and senior citizens. Call us today at (215) 315-3215 to find out how we can help make your Aston painting dreams come true, at a price you can afford. Here at Mulholland Painting, it is our goal to preserve and protect the beauty of your surroundings at a fair price. Our primary goal is complete customer satisfaction. 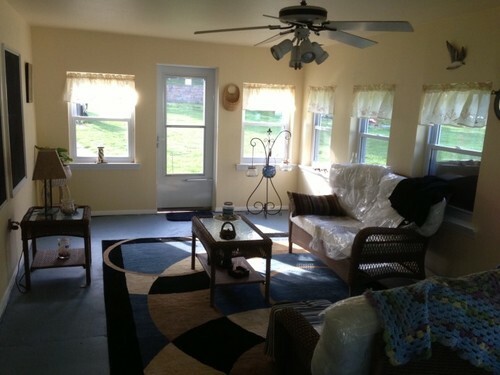 We strive to provide professional house painting services in the Aston, Pennsylvania area at an affordable price. We take great pride in satisfying our customers' interior painting and exterior painting needs in a cost effective and efficient manner. You can rest assured that Pete will develop a swift and reasonable solution to every one of Aston's house and business painting needs. If you are searching for top-notch painting in the vicinity of Aston, count on Mulholland Painting for the highest caliber customer service! Whether you've punctured your walls during a hectic move, a door handle went through the wall, or the kids had an accident while playing inside, Mulholland Painting can take care of any drywall mishap! Using our DUST-FREE technology with a professional Festool's Drywall Sander, there will be no dusty mess left behind! After patching your drywall, we'll expertly match the existing texture. When we're finished, any holes, punctures, or cracks in your Aston drywall will look brand new again. No one does Aston drywall better than Mulholland Painting! 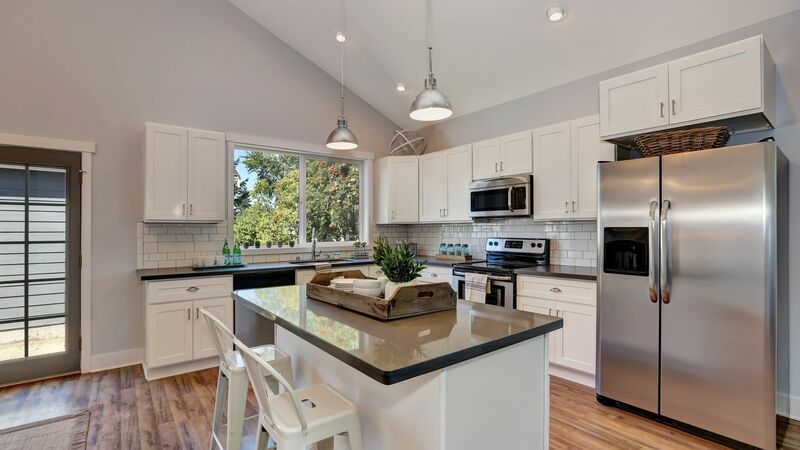 The experienced painters at Mulholland Painting utilize a virtually dust-free preparation method which makes for the perfect, flawless coat of paint using the highly quality painting products! Mulholland Painting has been painting Aston houses since 1975 and welcome your call to bring your house back to life! Decks can take a beating from the elements! Ideally decks should be painted or stained every year or two, otherwise moss and mildew will grow in the cracks and pores. Our Aston painters prepare decks by first replacing damaged wood and then pressure wash the deck to remove mildew, mold, and dirt. 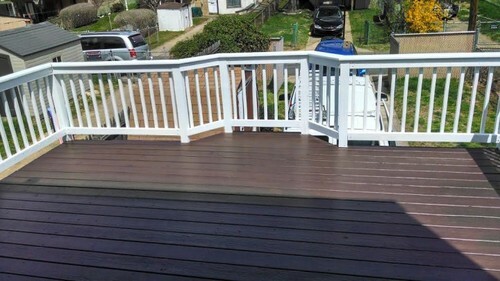 One or two coats of a water proof deck paint or deck stain is applied, and suddenly the deck looks like new again! Whether you’re looking for interior painting for your Aston area home, or exterior painting for your Aston area commercial building, Mulholland Painting is the company that you can count on to do the job right the first time. Call anytime to discuss your Aston painting needs. Affordable High Quality Painting in Aston.